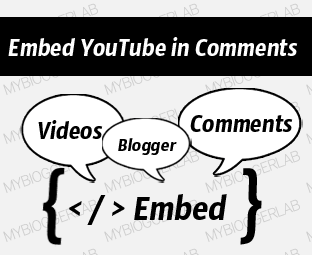 We have debated many times that why YouTube is the world’s #1 online broadcasting website, but anyone had ever thought of embedding the videos in their Comments. Perhaps, it is extremely straightforward to embed a video in an HTML Doc, but embedding them in Comments appears to be a rusty task. While investigating, we came across a robust plugin oEmbed specification. They have a simplest API that helps a website provider to embed multiple contents on his website. Now the Main problem is that, how we should utilize it? We can just Paste the YouTube Video link in Blogger Comments and it would automatically catch the video details, and would embed it in Comments. Surprise, it seems like we have finally, solved the mystery. Note: It Takes a while to Load so please maintain patience till the whole page stops loading. However, if anyone wants to display the Videos’ URL instead of embedding then in that scenario they can make use of the following code. Remember: to replace, the URL according to your desire needs. Also keep in mind it would only work on YouTube videos because the script is designed only for it. In greater many cases, people might complain an issue in loading speed of a web page that has lots of Movies attached. In that case, we can try Lazy loading YouTube Videos technique that almost saves 60% of memory space. 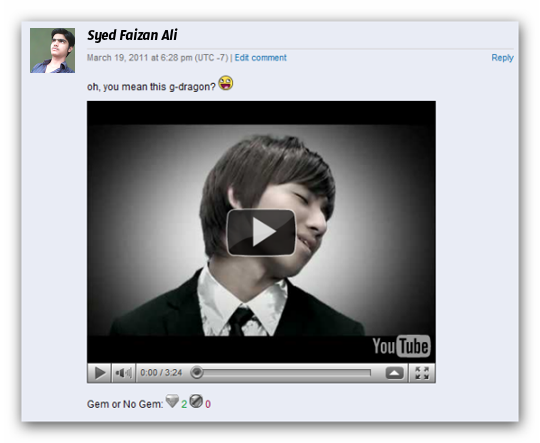 Thus, helps in speeding up a web page that even have 20 to 25 videos attached. Tags are responsible for a post to traffic?? so good :)). can i request a trick? how to make floating ads like you? please tell me :) thanks. Great captured, but no one will allow you to embed your video in his/her blog, because it will be got overload because of the more embed scripts. Yup, it would slow down the speed of the page but, we can use Lazy Loading Script and efficiently increase the speed of a website even if there is 20+ videos.